I've put together this resource for free tiny house downloads so if you're just getting into the idea of simple living, you can get to know what's going on with some freebies. 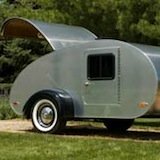 From tiny house building plans so you can get started on construction to ebooks that can guide you on how to downsize your life. There are several different people to thank for these resources. I will let you know where each came from so you can learn more and possibly support the authors. Michael has given so much to the community in the past few years. 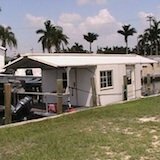 He has made 6 tiny house plans that are available for you to download and he has allowed us to share them with you here. 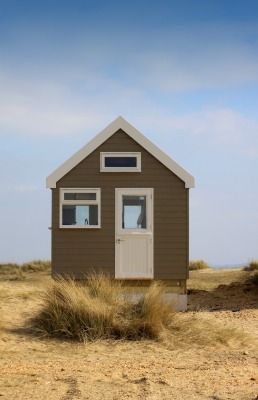 If you are not familiar with his work, please be sure to visit his blog Tiny House Design. He also has some tutorials on how to create your own plans with SketchUp. Plans courtesy of Michael Janzen. These plans were not prepared by or checked by a licensed architect. The plans are licensed under a Creative Commons Attribution-Noncommercial 3.0 United States License. Kent is the owner of Tiny House Blog. 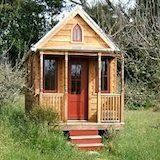 He has put together a resource called the Tiny House Directory which will provide you with plenty to explore no matter what type of shelter you're into. 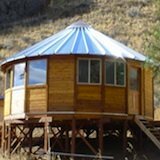 You'll find container homes, floating homes, gypsy wagons, cob houses and more. It's an ebook that you explore on your computer with an Internet connection. This ebook is courtesy of Kent Griswold. Tammy has been blogging about all of the different ways she has simplified her life. Like you and me, she has also gone from materialistic to minimalistic. That sounds kind of funny, doesn't it? But you can download her eBook, Minimalist Health which is a super quick read that shows you how to focus on the essentials in your life. Things like decluttering, emotions, addictions, commuting, television, redefining work and healthy eating tips and much more. This ebook is courtesy of Tammy Strobel. Bookmark this page so you can come back for updates. Better yet- sign up for our email newsletter at the top right of this page.